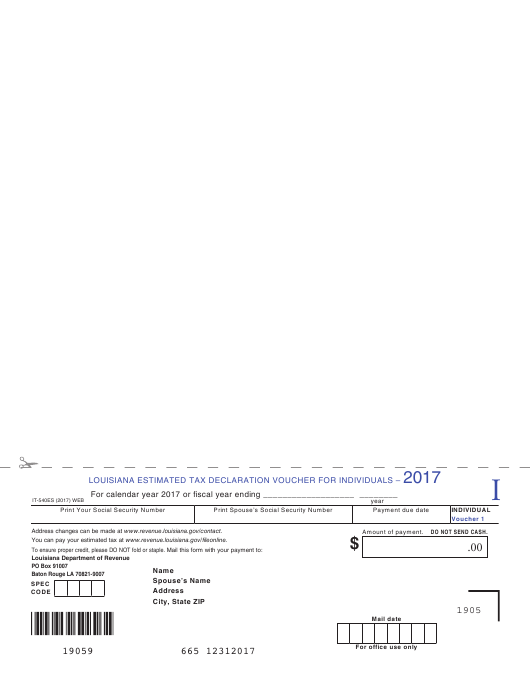 Form IT-540ES is a Louisiana Department of Revenue form also known as the "Louisiana Estimated Tax Declaration Voucher For Individuals". The latest edition of the form was released in January 1, 2017 and is available for digital filing. Download an up-to-date fillable Form IT-540ES in PDF-format down below or look it up on the Louisiana Department of Revenue Forms website. Address changes can be made at www.revenue.louisiana.gov/contact. You can pay your estimated tax at www.revenue.louisiana.gov/fileonline.